Great opportunity for Android developers. 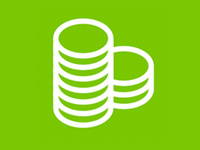 Nokia has launched a new Nokia X Software Platform, a customized platform built on the Android Open Source Project (AOSP). The Nokia X family features smartphones powered by Android. The UI resembles Windows Phone — but other parts of the system feel distinctly Android or even Asha-ish. Most of the Android apps will run on Nokia X software platform without any modifications. 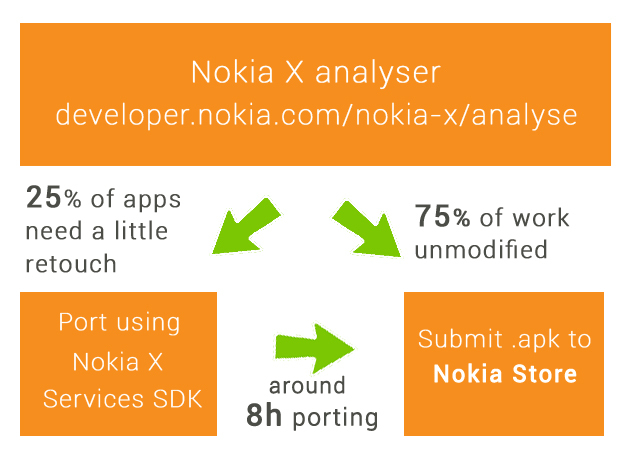 We can check our APK’s compatibility by utilizing Nokia X analyser – http://developer.nokia.com/nokia-x/analyse/. If the result shows fully compatible, then we do not need to make any changes in our Android app for the Nokia platform, else we adjust the code as per recommendation (see step 2). Step 2. When the app is not compatible, we need to make adjustments for Nokia X Platform. 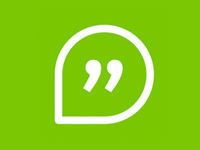 Create a Nokia Developer account and use Remote Device Access (RDA) to test the Android solution remotely on Nokia X device. We also need Java Web Start (comes typically with JRE; version 5.0 or newer is required) along with browser for testing. Step 4. If everything looks OK, submit the app to Nokia store. 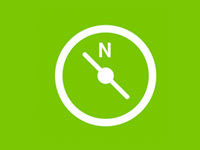 The team at InnovationM is ready to build or adjust Android solutions for the new Nokia X platform. Exciting times!